This is my third legislative session trying to get autism health insurance reform passed in Hawaii. The first year, I was truly a novice and did not understand anything about how to pass legislation. Last year’s effort was frustrated by an alarming level of ignorance on the part of a key legislator, who thankfully is no longer an issue. This year, so far things are going pretty well. I am cautiously optimistic this year will be our year. But that said, this bill will not cover all of Hawaii’s children, and sadly, it will not affect my child. So why am I leading this effort you might ask? Am I a purely altruistic human being? While I would like to think so, the reality is a bit different. When we moved to Hawaii 2 ½ years ago, I was hell-bent on getting health insurance coverage for ABA for Ryan, so I put together a bill and then wondered what to do next. I knew I needed to get someone to introduce the bill, so a friend mentioned she had a friend in the legislature who could do it…the bill did not go anywhere that year. So, I picked up the phone and called Autism Speaks and asked if they would help. Thankfully, they said, “Yes”. Autism Speaks puts on yearly legislative conferences that I have attended the past two years. There I learned some of the ins and outs of getting legislation passed, and also the intricacies of health insurance. Imagine my surprise about 9 months into this when I learned at one of these conferences that as a federal employee, my insurance was not subject to any state legislation passed on the issue. No one else was coming out of the woodwork to pick up this effort, so I decided then and there I would stick with it until it passed. Helping even one child get the help they need did prove to be motivation enough for me. When I started this endeavor, I thought I knew everything there was to know about health insurance. It’s not rocket science, right? You take your card to the doctor, and the receptionist there tells you what your co-pay will be. Sometimes, if you need a special test, you need a pre-authorization. That’s all there is to it, right? Insurance is a complicated beast with rules and regulations and exceptions. If this legislation is passed here, only about a third of our children will be covered. That’s right, one third. Or to put it another way, 7 in 10 children with an ASD will not have coverage under this legislation. Hawaii is not all that different from other states, in case you’re thinking things are just one-off here. If our state passes insurance reform, it will only affect about 3 out of 10 children. So who won’t state legislation cover? Active Duty Military, Federal Employees, most Medicaid recipients and self-funded/self-insured plans. Active Duty Military are covered under ECHO, the Extended Care Health Option that is a part of their health benefits under TRICARE. Military members are currently entitled to 6 – 11 hours of ABA weekly for a maximum yearly benefit of $36,000. Legislation has just made it through the US House of Representatives and the US Senate to remove the caps. Once a reconciled bill has been agreed upon, it will go to the President for signature. Things are looking up for the military. OK, so Active Duty military are covered…what about retirees? The answer until very recently was a resounding “no”, but a lawsuit was filed against DoD to end this discriminatory practice. Because of the way TRICARE segregated its benefits, ABA was under ECHO, an option only available to those on active duty. So a service member with an autistic child receiving coverage would retire and immediately lose those benefits. Fortunately, Judge Reggie Walton ruled last year that TRICARE’s policy was “arbitrary and capricious” and he ordered that ABA be covered for retirees. TRICARE’s argument is that ABA is an educational intervention vice a medical treatment and therefore should not be a covered service. The TRICARE manual is being revised to comply with Judge Walton’s decision, but Dr. Jack Smith, DoD Director of Clinical Program Policy and Integration has told the Defense Health Board DoD has “asked the judge to reconsider”. I don’t know if this is a nice way of saying DoD has appealed the ruling, which is what was indicated when the ruling was handed down. Federal employees have no mandate for ABA services, and represent the single largest insurance block. Our insurance is regulated at the federal level, so state legislation has no impact on our benefits. Last year the Office of Personnel Management, the federal government’s Human Resources Office, if you will, declared ABA to be a medical treatment vice an educational one and decided to “allow” insurers of federal plans to cover behavioral therapies. Unfortunately, most did not choose to cover ABA, and the areas where most federal employees live and work do not have plans that will cover them. For example, MD, DC and Northern VA have the largest number of federal employees; these areas do not have insurers providing coverage to federal employees. What about Medicaid recipients? 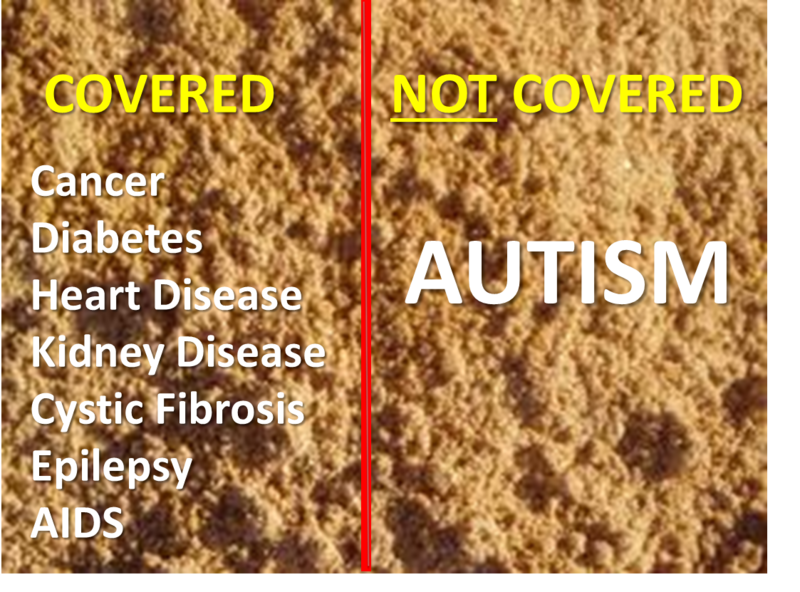 Generally, the answer is no coverage is provided, but there are some exceptions. I do know of a few people getting coverage under a Medicaid waiver--believe it's called the Katie Beckett waiver--but I am sure this is not the norm. Things could turn around there, though. Last year federal judge Joan Lenard ordered Florida to cover ABA for children with autism under Medicaid, ruling that the state’s denial of ABA coverage under Medicaid was “arbitrary, capricious and unreasonable.” The judge also found Florida’s claim that ABA was experimental to be “outrageous”. Florida has appealed, arguing it should have the right to make the determination on a case-by-case basis. If you work for a large company, chances are your company’s health insurance is self-funded, or self-insured. 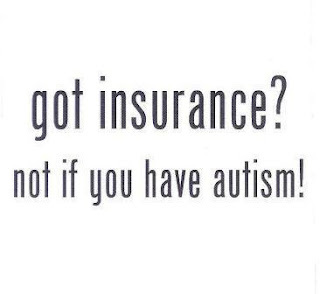 It's actually not insurance. In a self-funded plan, the employer is assuming the financial risk for providing health care benefits to its employee plan recipients--in other words, your employer is directly paying for your doctor visits . 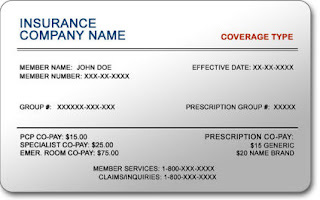 Although the employer will typically contract with a third party to administer the plan—such as Blue Cross/Blue Shield or Aetna—the employer bears the risk of financial solvency of the plan, which falls under ERISA, the Employee Retirement Income Security Act, a federal law that was passed in 1974 that set standards for employee benefit plans, to include health insurance. These plans are not subject to state laws and regulations. Insurance cards may say one thing but mean another...know your policy! So although you have an insurance card that reads, say, Blue Cross/Blue Shield, or Aetna, if your company self-insures, you do not have insurance through these companies; they are simply a third party hired to administer the fund and pay out claims. Insurance is very complicated, but it is imperative you know how you are insured and what your plan does and does not cover. I strongly recommend you create a log for any conversations you have with your insurance company. It should contain date and time of your call, the name of the person you spoke with and their department, as well as what was discussed and what was said. This will come in handy should you need to appeal claim denials. 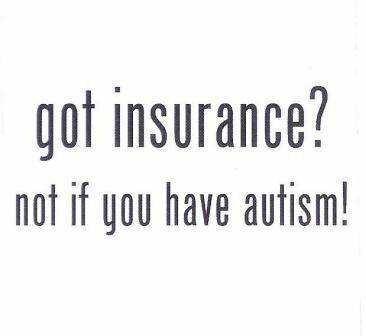 Although everyone should know the terms of their insurance policies, for autism it is especially important you understand your benefits because historically insurers have been able to discriminate against children with autism. 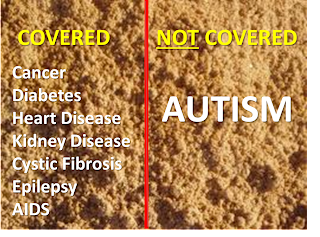 No one doubts cancer or diabetes should be covered, but for some reason when autism is involved an arbitrary line has been drawn that leaves families unable to get needed medical treatment for their children. There's a clear line drawn on health insurance coverage--why?? Not dry at all! Thank you for providing such concise and digestible information and for spearheading the effort! Thank you...I debated putting this one up because it's not the most fascinating topic--until you find out you don't have insurance coverage! Even though many people suffer from a type of mental health issue, it's not something we often discuss - so how can you help CBD for anxiety and depression suffering with a mental health issue? Take a look at these ways in which you can make a small, but profound difference. It can be considered as a non-specific illness syndrome where the areas of brain concerned with memory, language, attention and problem solving are severely affected. About six months are required for the disease to be diagnosed and in later stages the affected persons may hemp disoriented in time. Dementia is treatable up to a certain degree but as the disease advance the symptoms become incurable.